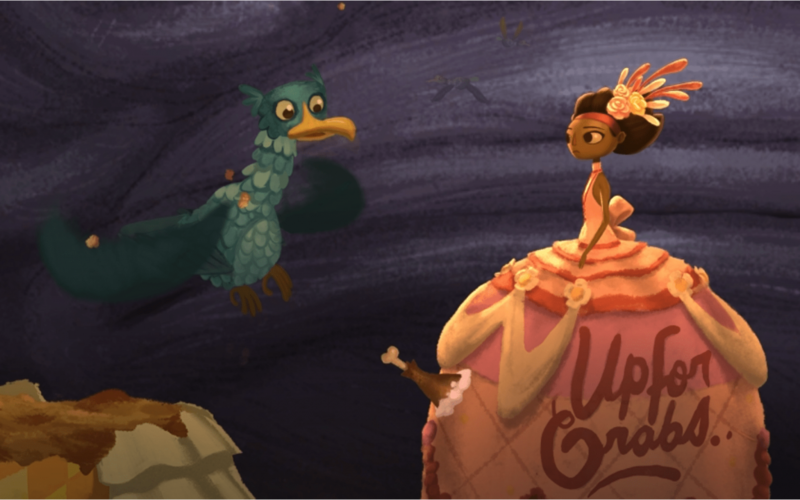 It took over a year, even more money, and a bevy of criticism and annoyance, but Broken Age is finally finished. 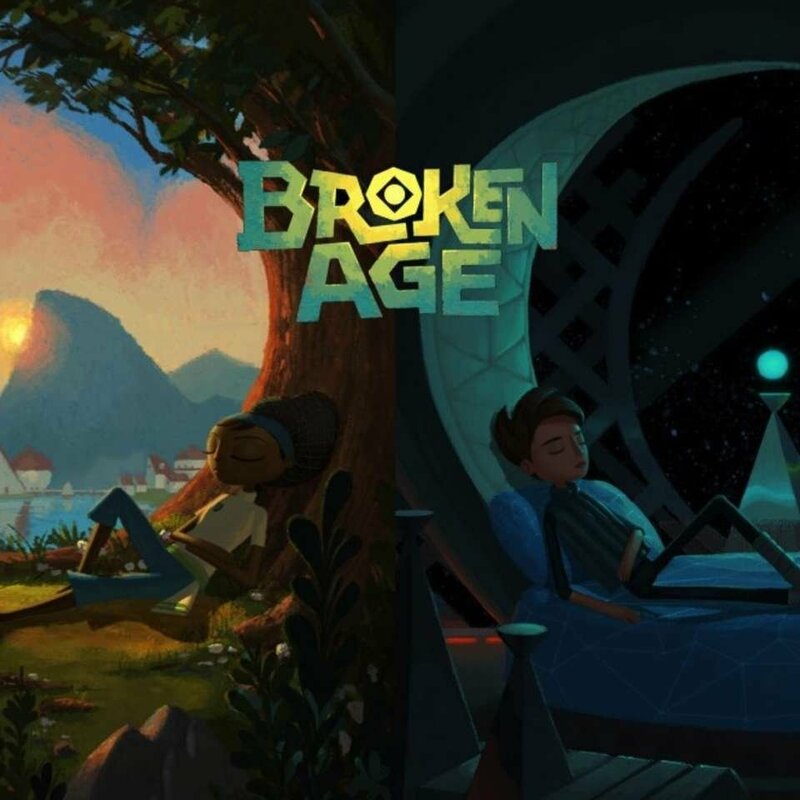 The videogame project that put Kickstarter on the map for me and mostly started off the gaming crowd-fund craze as a major element has been completed. The second half of the game has been released, added free to anyone who bought the game early or to backers, and is now available for $25. The question is whether or not it was worth it. My previous review of the first have was largely positive, shining even, with the caveat that it was an unfinished game and the second Act would decide a lot of elements for me. Some things haven’t changed, such as the whimsical, evocative and somewhat surreal quality of the artwork and the world and characters. There aren’t many new ones added in the second half, though those present maintain their previous rich personalities and designs, for the most part – though for me, that’s where the flaws start to come in. Act 2 continues the parallel stories of Vella, a baker-turned-rebel out to solve problems with hot-headed-destruction, and Shay, a sheltered teenager waging his own rebellion against his overbearing “parents” and the child-proofed spaceship that carries him on a mission to save his world. 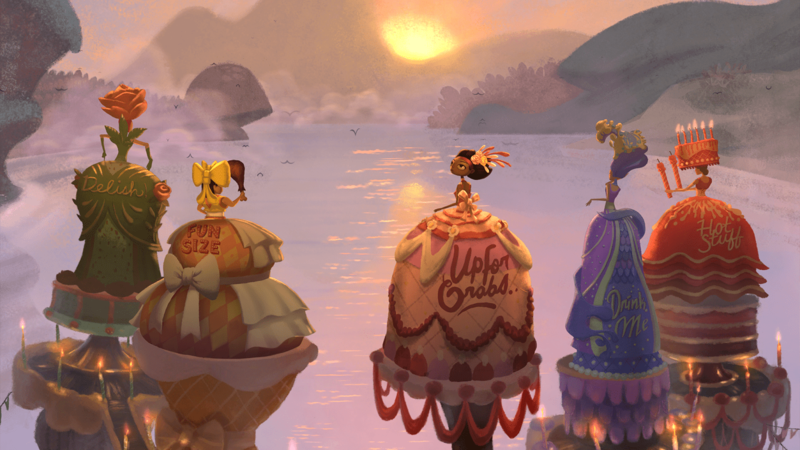 The story picks up where it left off, revisiting a lot of old areas, and bringing the story to a close. The storybook feel was welcome, and watching the other characters you’d visited in the last game progress was strangely satisfying (such as seeing a cult-obsessed feathered man realize he’d been duped by a charlatan). It gives a sense of time while revisiting old areas, and does it well. There are a few new areas, though you don’t spend much time in them – again, the designs are great. The story’s climax, and the revelations that come with it, are mostly suitable, and I find the core premise, tied into the themes of independence, exploration, and open-mindedness, to be mostly satisfying. I say ‘mostly’ because there are some outright contradictions that stick out like snarls in fabric (blame the Space Weaver). I wanted to like the main antagonists for their smug attitudes and Saturday-morning cartoon evocation, yet with understandable motivations in relation to the universe. However, the reveal of one of their allies blatantly contradicts their stated ideology and raised several questions. Shay’s “parents” are another such problem, as the mother seems to undergo a drastic personality shift in the second half, and their pasts present a problem since Shay seems entirely unaware of this. Even teenage belligerence and self-absorption can’t justify that degree of obliviousness, and even if it could, I can’t quite buy that it didn’t ever come up. Symbolism abounds in it regarding absentee parenting and family relationships, but I felt it was a bit too blunt. 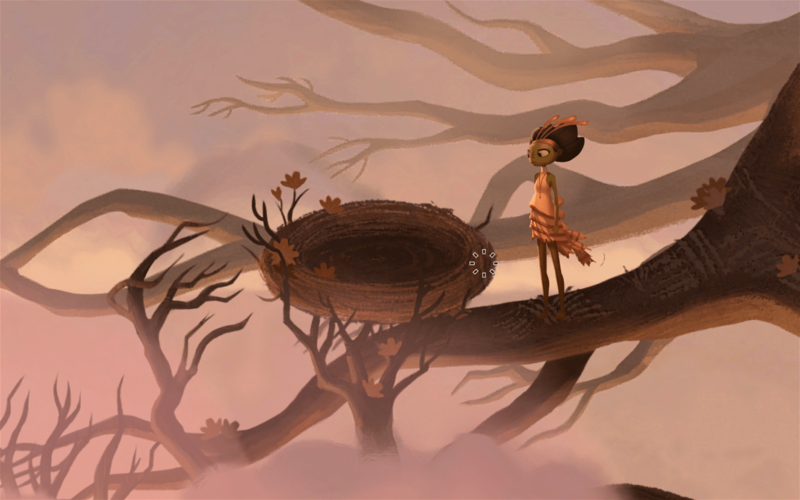 Broken Age’s story relies on Shay and Vella, and the two distinct plotlines eventually converge, but they lack reasons to do so. The two interact all of twice in the story, and never speak to one another. This makes Shay’s stated affinity and fascination with her somewhat suspect, given his limited contact with her. If it had been given a better explanation, perhaps it would have been easier to accept, but we seem to be told to accept that a teenager would recognize her fighting spirit instinctively. It’s further exacerbated by how the puzzles nearing the endgame rely on using both paths – despite having no logical reason in which they can interact at times. 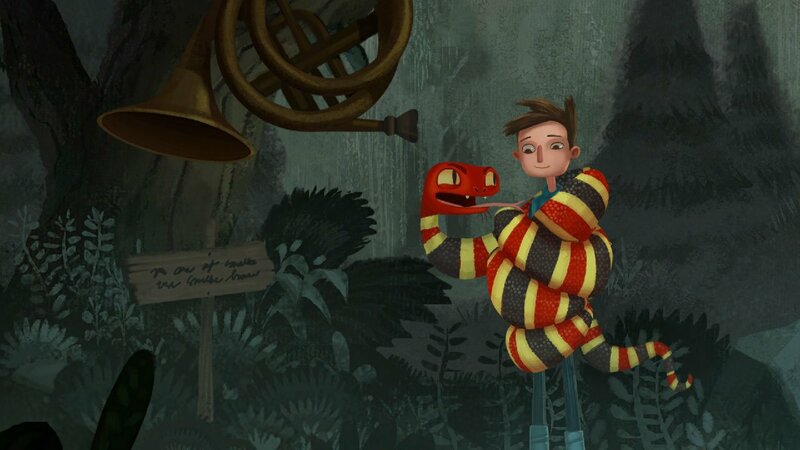 Mostly, the puzzles are quite fun and clever. I tend to be bad at such things, and it takes me a while, but I don’t tend to consider it bad if the solution can be reasonably found with some looking. Interacting with objects and being mindful of your environment leads to discoveries, and it never falls into pixel-hunting. Playing around with the environment is most of the fun, and I found it great to do, such as leading a maintenance robot throughout a ship using the master controls. When Shay and Vella’s solutions rely on the others path is where the problem lies. Don’t get me wrong, the final puzzle, which requires a drastic series of bravado and planning on both sides, is pretty great, and the influence they have on one another is reasonable. However, some of their puzzles can only be solved by information found in the other path – information that the one solving the puzzle cannot access. 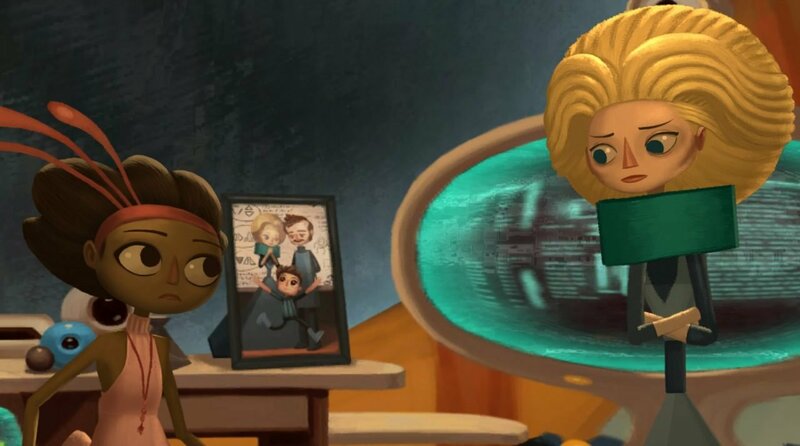 It might be believable that Shay could remember a sequence recorded on his own ship, expecting that Vella would know how to wire a robot based on schematics in a room she never set foot in is just too much. The puzzles are for the player, of course, but suspension of disbelief requires that we buy that the characters could take these actions without an omniscient, somewhat obsessive presence directing their actions. There were far better ways to do this than this – even cursory evidence that the two could know this information would be helpful. Overall, the second half feels somewhat worn, and shows a bit of roughness exacerbated by the long gap between it and the previous chapter. There are items and occurrences that suggest puzzles that never occur, namely Shay accessing the pitch tuner from the first game and learning a song he never uses. It’s still the same game as before, but the expectation was set high by the initial offering and waiting only built the anticipation. I loved the art and the story, but was painfully aware of some of the conflicts present. As a whole package, you can pick it up and not feel too guilty, but those like myself who were involved from the beginning might feel a bit let down that this game took so much time and money to finish. I could have done without some of the voice-acting, which got a bit flat at times, though some (like Curtis, the hipster lumberjack/metallurgist, and the talking-yet-sensitive tree) were top-notch. At worst, it’s a cautionary tale about getting too much money and getting too ambitious with that money. 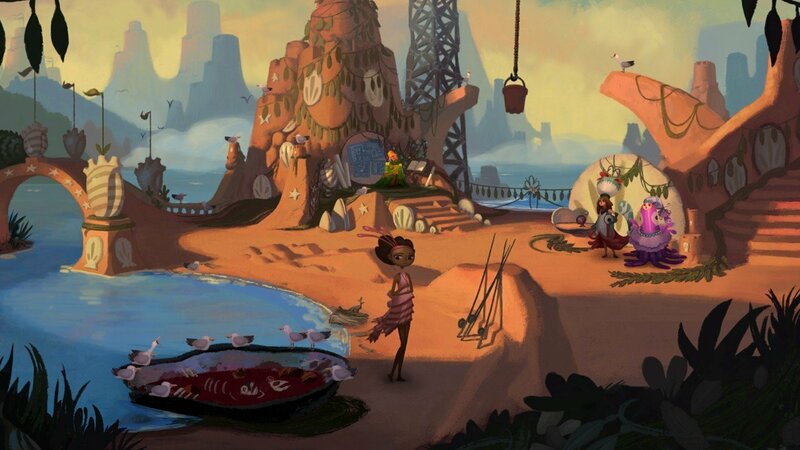 At best, it’s a solid adventure title with wonderful visuals and great characters mixed in with a few bad puzzles and story issues. At worst, it's a cautionary tale about getting too much money and getting too ambitious with that money.